World Cup set for New Zealand from January 13 to February 3. Muketha joined the squad from Windhoek on Wednesday and is in residential training camp with the other lads. Under-19 team coach Jimmy Kamande on Friday said that Muketha was invited for a week-long trial in October where he impressed the coaches. 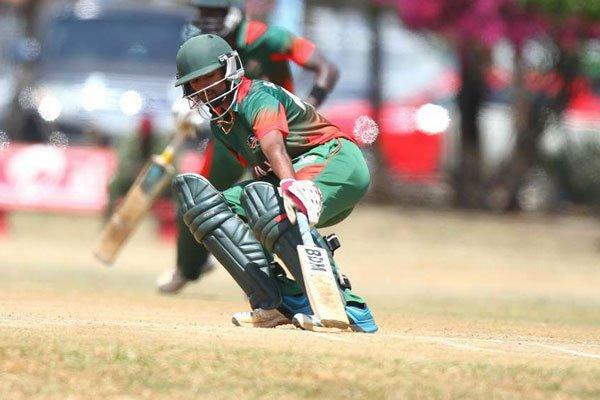 He was recommended by national team coach Thomas Odoyo, assistant coach Peter Ong’ondo, Cricket Kenya general manager Josephat Murithi and Sunil Sarkar, who will handle the under-19 side in New Zealand. Muketha, a grade 10 student at Red Hill High School in Namibia, plays for Centre for Cricket Development (CDD Tigers) premier league. Muketha qualifies to represent Namibia internationally as a resident but said his dream has always been to wear the Kenyan colours. There was another surprise for Kamande yesterday when a Kenyan boy, born in South Africa, David Mich Okaro, showed up for nets at Sikh Union ground. Okaro is here on holiday with his parents and his sister.